Remember, your oral cavity is your responsibility as well. You see your mouth more than we do, so make sure to keep up proper oral hygiene. 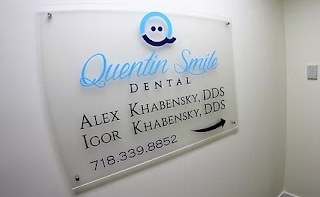 We’ll go over these instructions and much more at Quentin Smile Dental. Periodontal disease, if left untreated and neglected can leave you without teeth. What happens is that bacteria and plaque buildup along the gum-tooth boundary and cause bone loss. Many times this bacteria and plaque combination manifests itself as calculus or tartar on the surface of teeth below the gum, and can appear dark green at times. This is the mineralized form of plaque and needs mechanical debridement in order to be treated. Due to bone loss around teeth with periodontal disease, the pocket depth between tooth and gum increases. 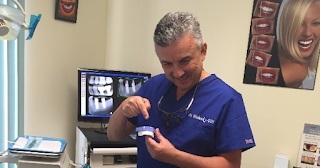 This “periodontal pocket” can become a food trap that can lead to future caries. In some cases deep pockets can develop into periodontal abscesses. 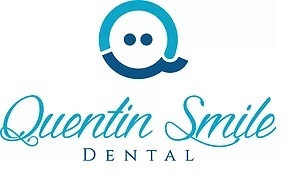 We have two hygienists at Quentin Smile Dental Servies, P.C. who specialize in treating your gums. One of the procedures to remove calculus and tartar is called “scaling and root planning”, or colloquially a “deep cleaning”. 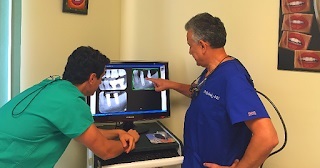 During this procedure the teeth are scaled and cleaned from below the gum level. This is done under local anesthesia for your comfort. Depending on the severity of each case, we may recommend local delivery of antibiotic therapy (Arrestin) into your periodontal pocket. This is locally acting antibiotic treatment at the site where it is needed to eliminate bacterial microflora.